View the gallery / 11 pictured and 3 videos. Her red carpet style is really marvellous, and so far Julianne Moore can do no wrong! Do you agree, friends? 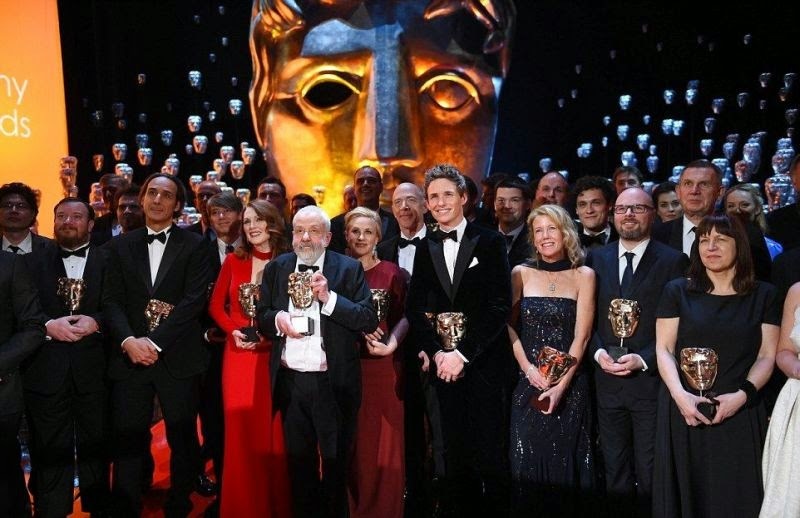 A wonderful honour have been obtained into her holly hand during a red carpet steps to the EE British Academy Film Awards (BAFTA) at London on Sunday, February 8, 2015. So, it was no to refreshing while seeing the bright red gown added a nice touch of bling to her appearance, but if the positive fashion art were design by Tom Ford. . . . . . . .The point's really a nice touch to make every lady going visible on more natural. "Thank you for including me among these beautiful performance both British Felicity, Rosamund and American Amy and Reese I'm honoured to be honoured with you tonight," The 54-year-old spoken so rigidity on the podium while took the Best Actress award as Dailymail.co.uk report. Then Julianne added an explanation to her character in Still Alice, "Film is a collaborative medium, there's no way you can give a performance by yourself and the think I value most about my job is the creative partnership with others." Wow! At least we have to know about how to make a suitable statement if we've got a trophy too on the next future. . . . . . . . . .Thanks a lot for your dignity, Moore and the Trophy were ours too!!! Wearing a red gown by Tom Ford design, the 54-year-old looked very perfect with her statement on the center stage during took her award as the Best Actress. 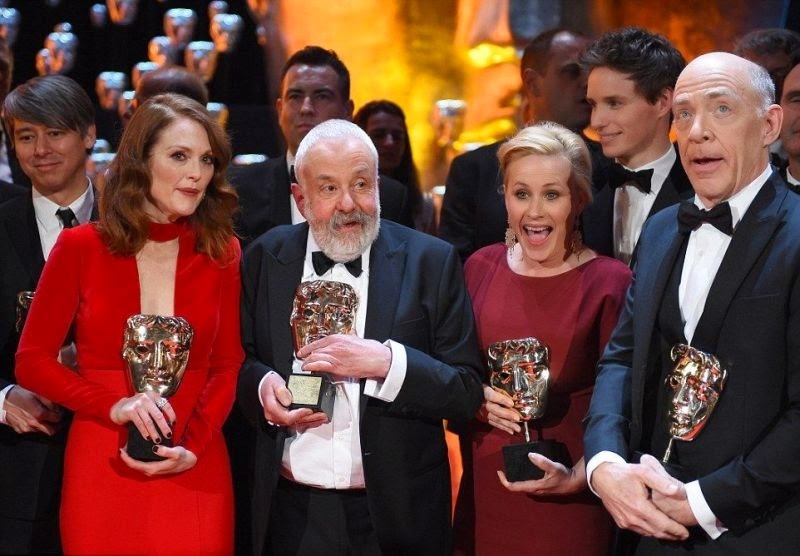 The actress standing so graciously with another winner, Mike Leigh with his coffee cup on Rising Star Award and Eddie Redmayne for the best actor in The Theory Of Everything. In another stunning poses! Julianne Moore put on yet another display of happy with Mike, Patricia Arquette and J.K. Simmons.